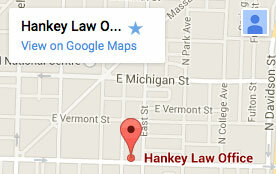 Hankey Law Office > Blog > Indiana Long Term Disability Attorney > Long-Term Disability Benefits Lawsuit Filed Against Unum Life Insurance Co. Long-Term Disability Benefits Lawsuit Filed Against Unum Life Insurance Co.
A woman in Pennsylvania has filed a long-term disability benefits lawsuit against her life insurance company. According to documents, Susan G. Harris filed a lawsuit in U.S. District Court in Johnstown claiming Unum Life Insurance Co. made unreasonable demands in its claims investigation. Harris has been disabled since June 19, 2001, and unable to work since. Harris suffered a brain injury and suffers from short-term memory loss. The lawsuit contends that Unum showed bad faith by dragging out its investigation and that on February 13, 2002, “Unum wrongfully denied Harris’ long term disability benefits despite prior approval of her short term disability claim.” Harris has been receiving disability benefits from her employer, but mounting legal sums have been a major concern. Harris is asking the court to award her benefits with interest from the date of eligibility to the date of the judgment. If you need help securing the long-term disability benefits you need, contact Indianapolis disability lawyer Charles D. Hankey by calling (317)-634-8565.